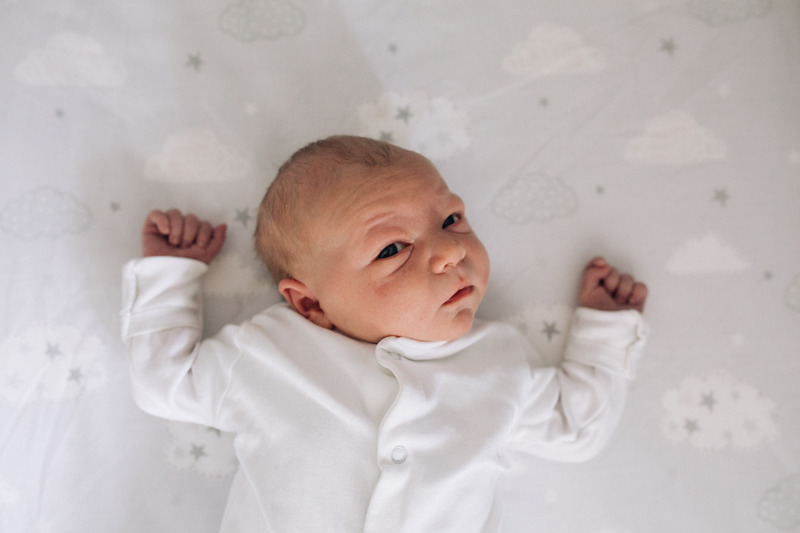 So Hugo is fast approaching TWO months old (SOB) so I thought it was about time I finally got round to sharing his One month update. I actually wrote this a few days after he turned a month old luckily as I probably wouldn’t have remembered all these details now! I’ve actually really missed writing my pregnancy updates. So I now plan to share a little update on how Hugo is doing each month for his first year, along with a few of my favourite photos of him from that month too. Weight – I had Hugo weighed with the health visitor at exactly one month old and he weighed a whopping 11lb 7oz!! Size – We made the switch to size 2 nappies from about two weeks old. 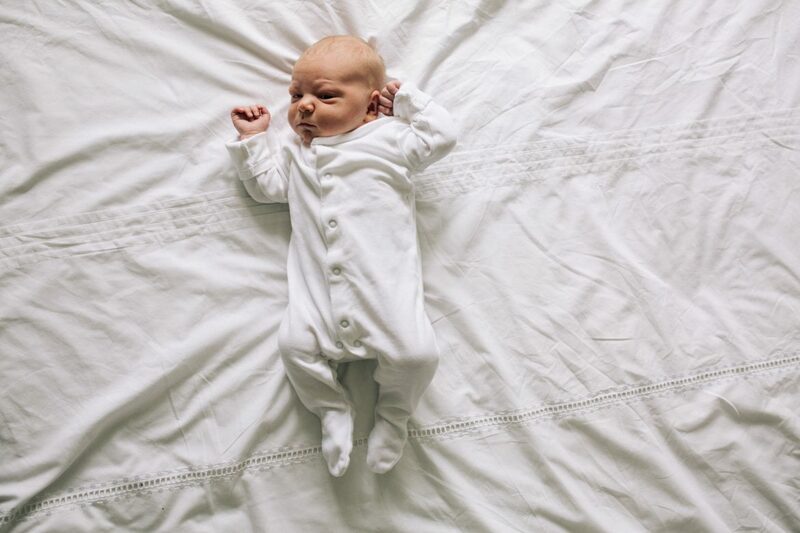 Hugo has started to outgrow his newborn and up to 1 month clothes (sob!!). 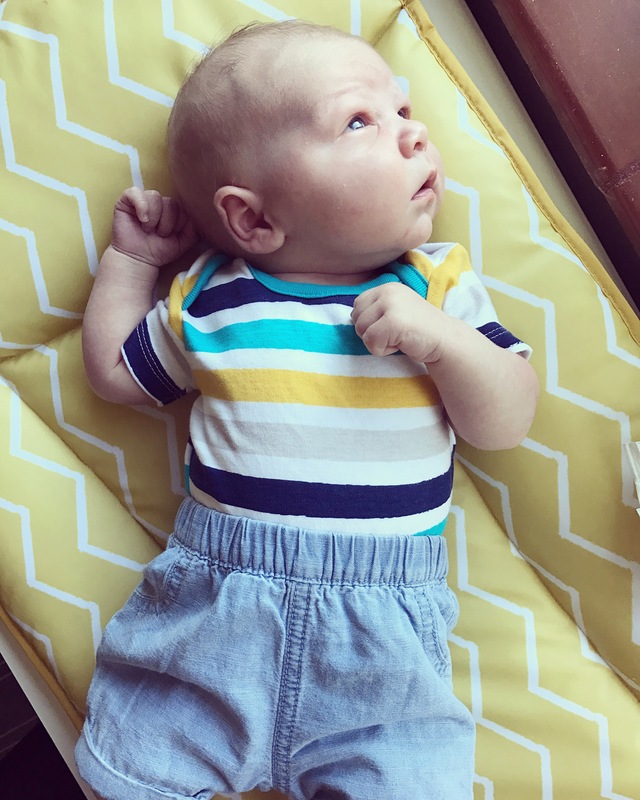 So he’s now mostly in 0-3 months clothes. Feeding – I am exclusively breastfeeding which is going super well. I really do feel so grateful as I know that this isn’t the case for everyone. Hugo does seem to struggle a bit with wind so I give him Infacol before each feed which has really helped. Routine – Everything is still very loose at the moment while we adjust to life with two! I am hoping to start an evening/ bedtime routine with him soon though. Sleeping – Hugo tends to wake twice a night to feed. He usually goes down in his sleepyhead in the bedside crib at about 10pm and wakes around 2ish and then again between 5-6am. We have had the odd night where he will feed more regularly but overall he’s pretty good at night! Fingers crossed it continues! Development – Hugo gave us his first smiles a couple of days after he turned one month old. We have had lots of smiles over the last few days which has been SO lovely! When he’s awake during the day he loves both his swing and playmat. He really focuses on the little hanging toys and spends most of the time grinning away to them! It’s the cutest thing. 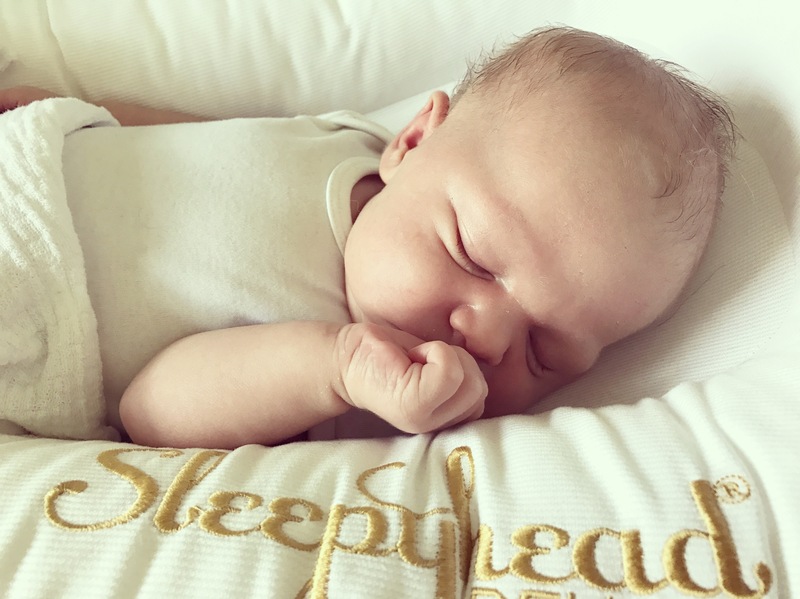 Likes & Dislikes – He loves cuddles, sleep & milk. Dislikes bath time and having his nappy changed. It always involves screaming! Eeek. What we’ve been up to – We got a bit ahead of ourselves and decided taking both kids out for dinner when Hugo was just 8 days old would be a good idea. It wasn’t. It was a disaster! We spent most of Josh’s two weeks paternity leave just pottering around at home and seeing family. 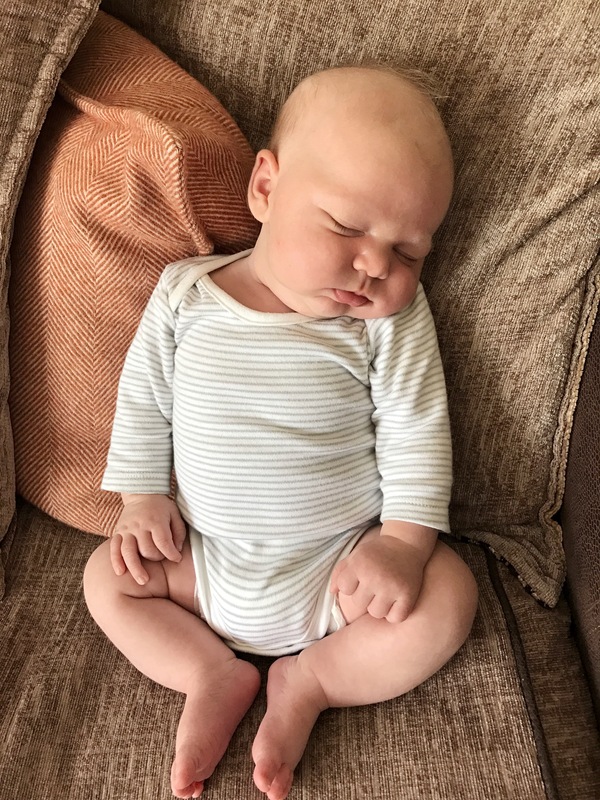 Once he was back to work I took it easy for the first couple of weeks and just focussed on soaking up our little Hugo Bear. A fairly uneventful first month but my goodness it was filled with so much love!! 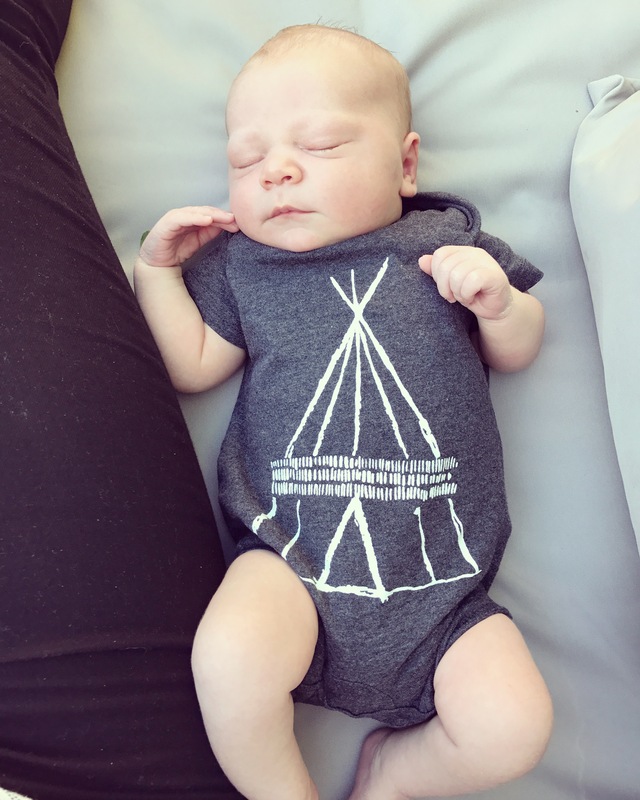 So I think that just about sums up our little Hugo’s first month earth side. I was so wrapped up in the newborn baby bubble that I barely picked up my camera but I did get a few snaps on my iPhone which I have shared below. I’m excited to continue with these updates and to see how much he changes over the coming months!